Eagles founder and guitarist Glenn Frey is dead at 67. 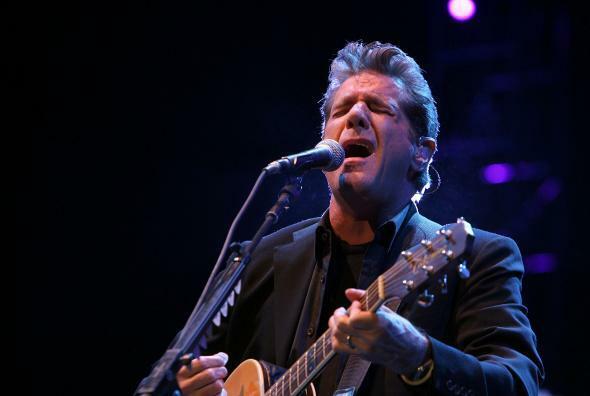 Glenn Frey of the Eagles performs at Stagecoach, California’s Country Music Festival on May 2, 2008. Born and raised in Detroit, Frey moved to Los Angeles after high school, and met drummer Don Henley there in 1970. In 1971, Linda Ronstadt recruited the duo—and two other upstarts, Randy Meisner and Bernie Leadon—for her backing band; after a tour that summer, the four broke off to form their own group, and the Eagles were born. They would go on to become one of the most popular acts of all time, and the highest-selling American band in U.S. history. He was like a brother to me; we were family, and like most families, there was some dysfunction. But, the bond we forged 45 years ago was never broken, even during the 14 years that the Eagles were dissolved. We were two young men who made the pilgrimage to Los Angeles with the same dream: to make our mark in the music industry — and with perseverance, a deep love of music, our alliance with other great musicians and our manager, Irving Azoff, we built something that has lasted longer than anyone could have dreamed. But, Glenn was the one who started it all. He was the spark plug, the man with the plan. He had an encyclopedic knowledge of popular music and a work ethic that wouldn’t quit. He was funny, bullheaded, mercurial, generous, deeply talented and driven. He loved his wife and kids more than anything. We are all in a state of shock, disbelief and profound sorrow. We brought our two-year ‘History of the Eagles Tour’ to a triumphant close at the end of July and now he is gone. I’m not sure I believe in fate, but I know that crossing paths with Glenn Lewis Frey in 1970 changed my life forever, and it eventually had an impact on the lives of millions of other people all over the planet. It will be very strange going forward in a world without him in it. But, I will be grateful, every day, that he was in my life. Rest in peace, my brother. You did what you set out to do, and then some.